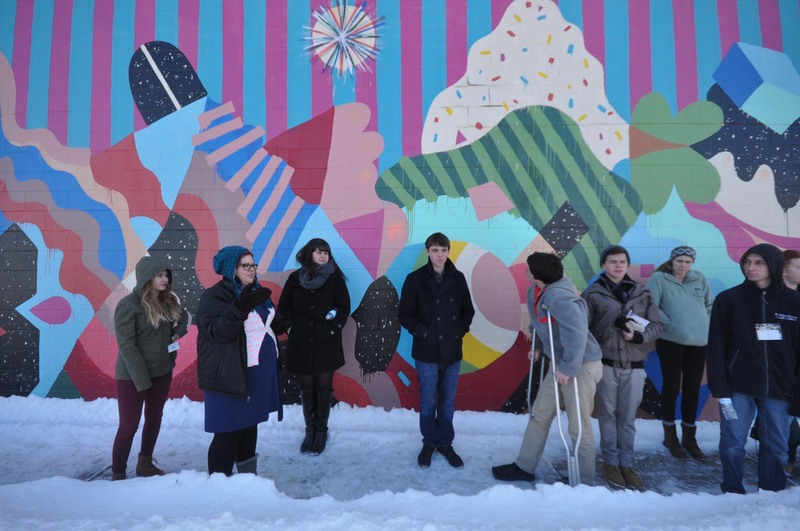 Tuesday February 3, 2015 PRESS Gallery was incredibly excited to be a part of the YOUth LEADership art crawl. 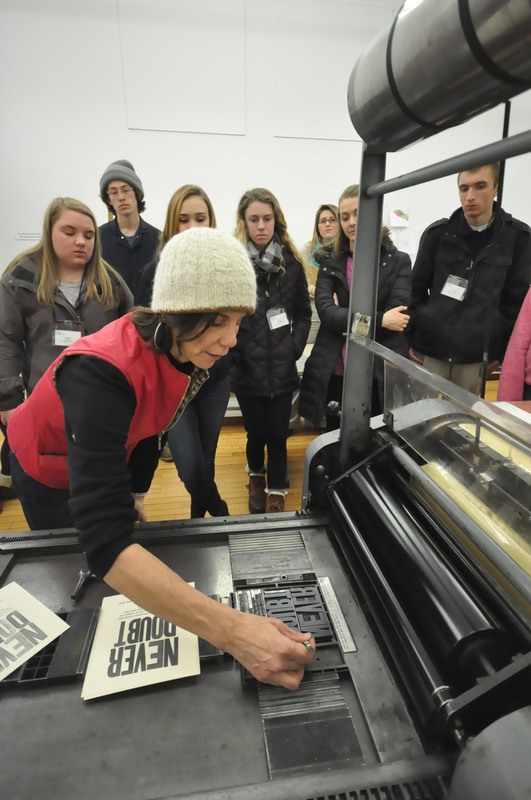 The program of about thirty high school students came to PRESS as a part of their initiative to get involved and continue to cultivate the Berkshire area by interacting with the local artist community. Melanie really wanted to get across that PRESS Gallery would not be possible without years of collaboration. 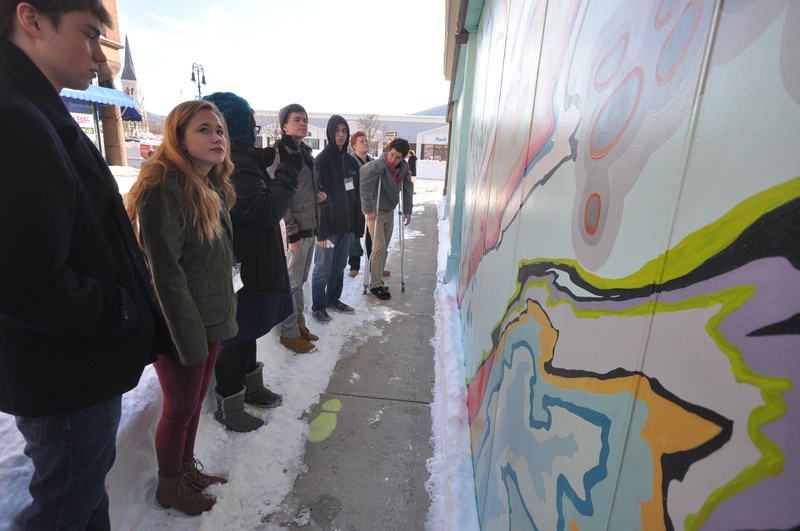 Massachusetts College of Liberal Arts is our primary supporter of what we do here on Main Street. PRESS started because of Down Street Art’s partnership with Scarfoni Realty which allowed us to move into a store front. And that funding from the Massachusetts Cultural Council, MCLA Faculty Creative Awards and the College Book Art Association was essential to our beginning. It was with this collaboration as well as support from our patrons that allow us to talk to groups and continue to create and grow! 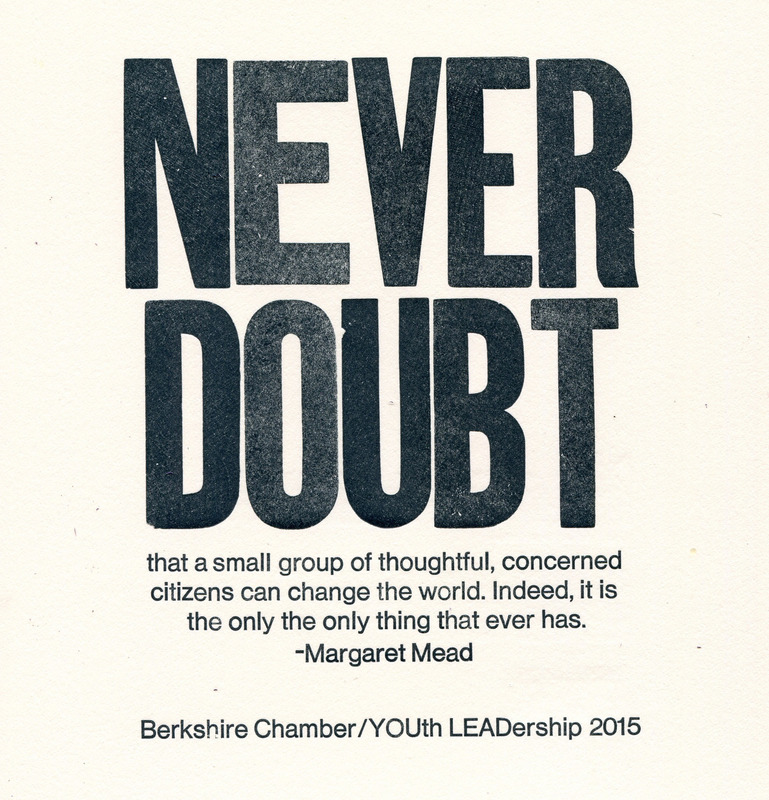 Demonstration card created for the purposes of the YOUth LEADership program.